Acupuncture by Ka Hang Leoungk, for your wellbeing and facial needs. Specialising in facial rejuvenation treatments (with needles, and without), wellness treatments and pain relief, Ka Hang practices in London, and has been trusted by her clients since 2008. Life in London is 24/7. Is your body up for it? Based at Neal’s Yard Therapy Rooms in Covent Garden, Ka Hang is available for appointments every Wednesday and Friday. Ka Hang Leoungk practices traditional acupuncture at Covent Garden in central London. She trained in Traditional Chinese Medicine (TCM) from Middlesex University in the UK, and completed a Bachelor of Medicine from the Beijing University of Chinese Medicine. She interned at the China-Japan Friendship Hospital and Xi Yuan Hospital in Beijing, working alongside doctors in the outpatients clinic. Ka Hang is the creator of the Age Defense range of facial treatments, offering clients a natural solution to age defence. Ka Hang Leoungk is a Registered Acupuncturist and a member of the British Acupuncture Council (MBAcC). Her treatments have been seen in Grazia UK, Harper’s Bazaar UK, Your Kensington & Chelsea, Stylist and Shortlist. 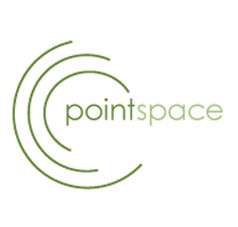 Read the reviews to see what others are saying about Pointspace. Get in touch with Ka Hang here or tweet her at @pointspace. Available Wednesday and Friday (till late). Nearest stations: Covent Garden is the nearest station. Leicester Square, Tottenham Court Road, Holborn, Charing Cross and Embankment tube stations are all a short walk away.